Includes matching and removable pillow. 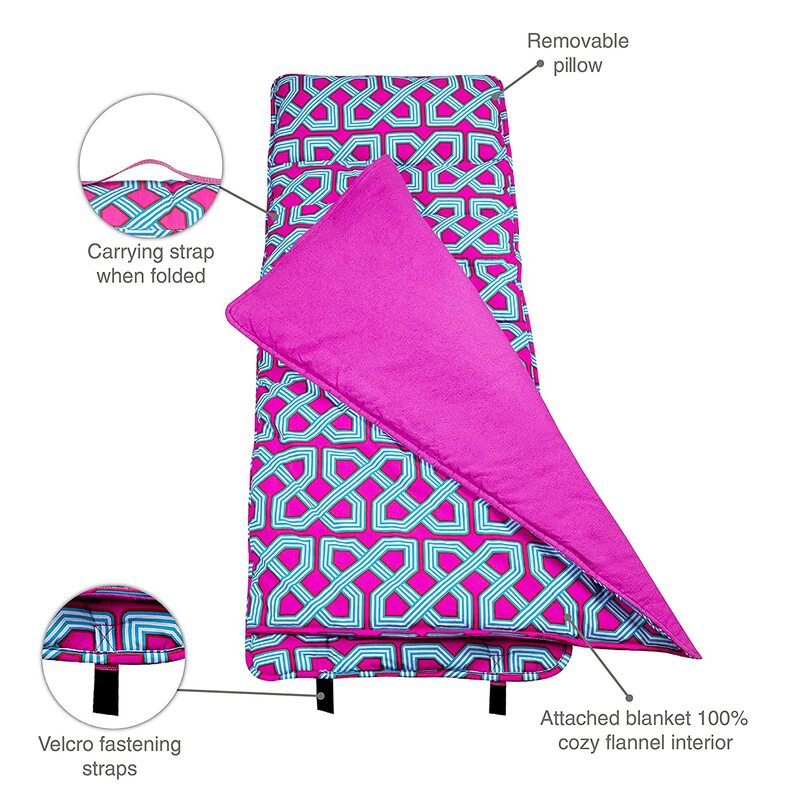 Attached blanket lined with 100/% cozy cotton flannel interior. Easy roll-up with fastening straps. Handy carrying strap. Naturally flame-resistant. Never treated with chemicals. Conforms to U.S. flammability test requirements. Machine washable with gentle cycle, cold water. Embroidery friendly. Silk screen print. Gender: Boys. Recommended age: 3 to 7 years. Warranty: One year. Made from polyester. Blue, black, gray and white color. 50 in. L x 20 in. W /(2 lbs./). Sail off to dream-land in style with a Nap Mat by Wildkin. 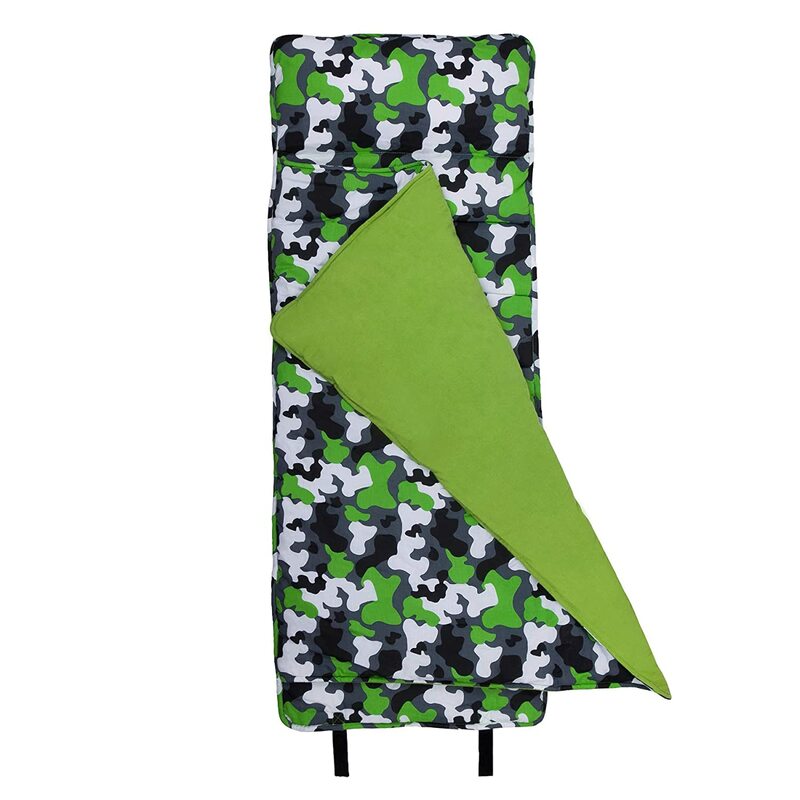 Wildkin Nap Mats can be used for school or home, rolls up for easy storage and travel. 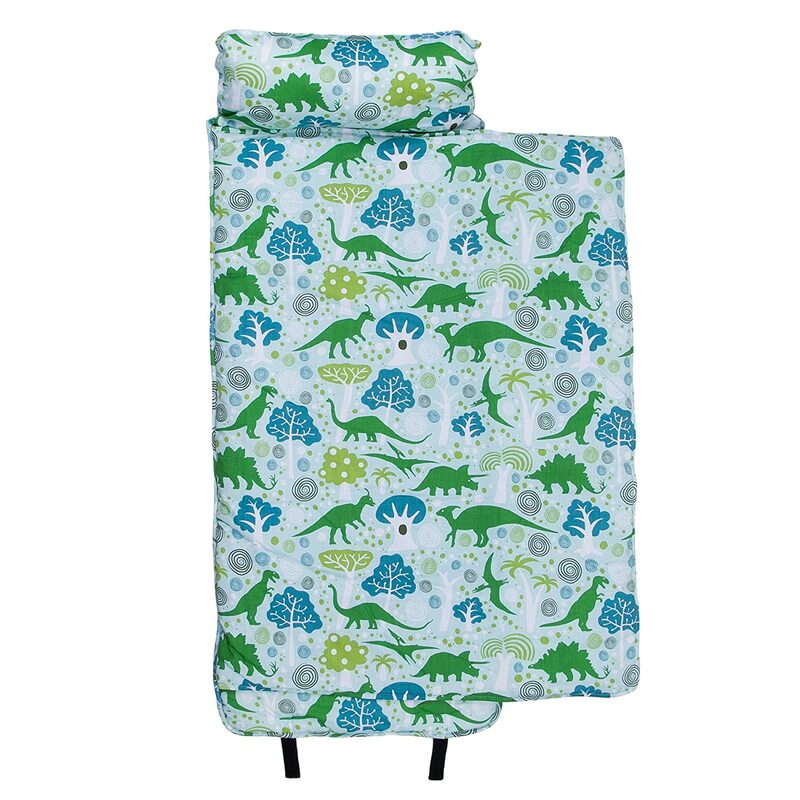 A favorite with preschools, daycares and as a starter sleeping bag for little ones.